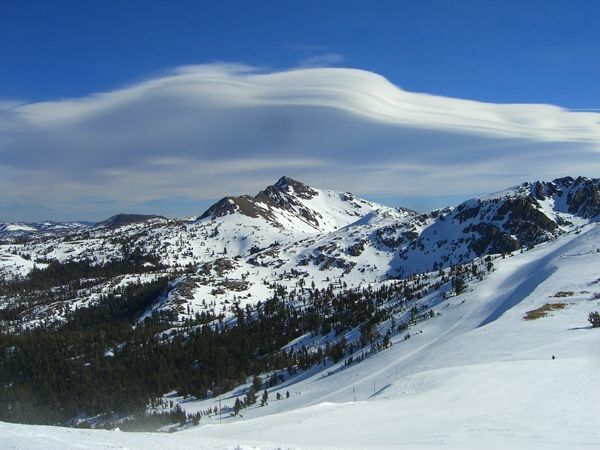 Kirkwood ski and snowboard resort, southwest of Late Tahoe, has some of the best snow in Tahoe. And it's no surprise with a base elevation at 7,800 feet, and a vertical climb of 2,000 feet to the peak at 9,800 feet. The park has fourteen chairlifts, over seventy runs (some of which are two and a half miles long), and gets over six hundred inches of snow on average every winter.